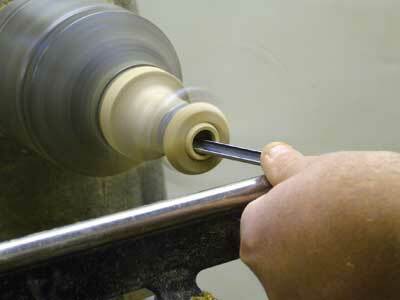 Offer up the body and press it gently onto the taper. 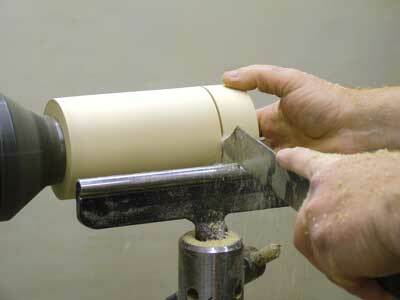 It should leave a slight burnish mark on the taper. 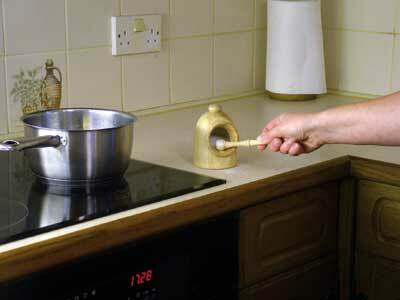 I pushed harder than necessary, leaving a scorch mark so that it showed up better for the camera! 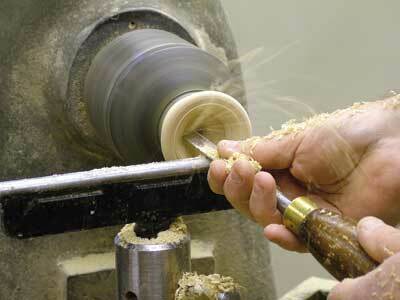 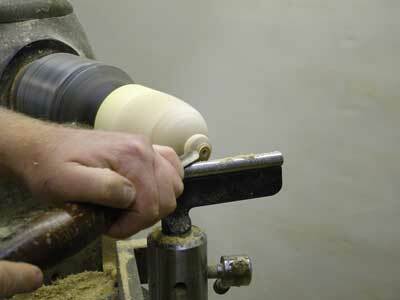 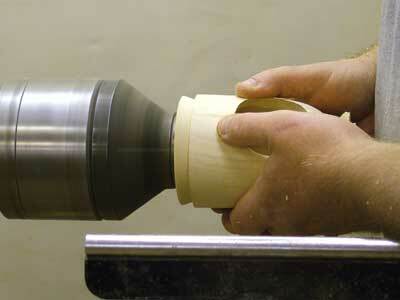 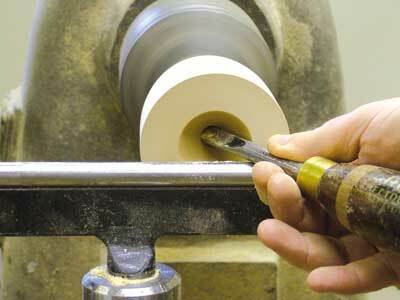 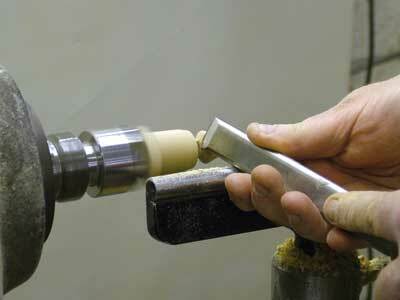 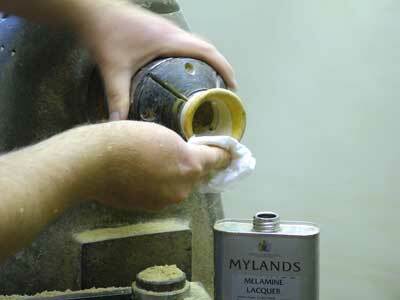 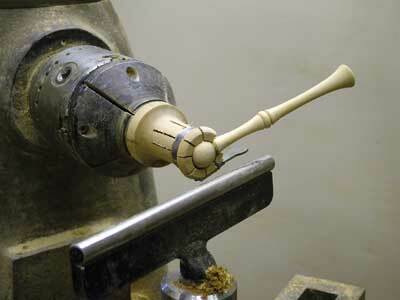 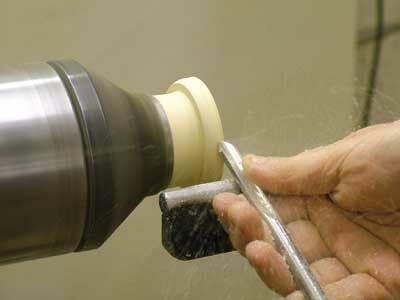 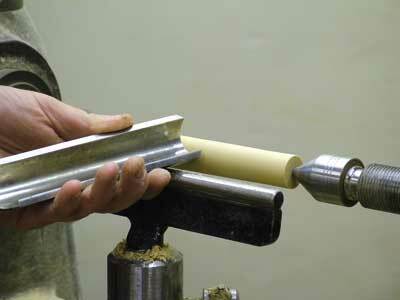 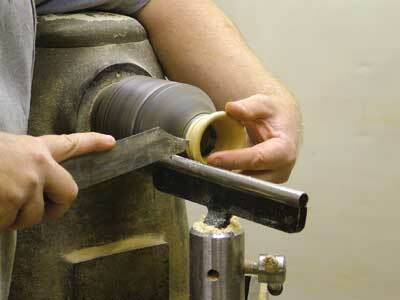 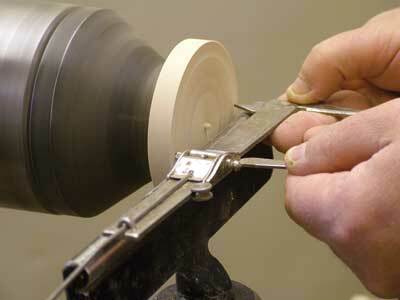 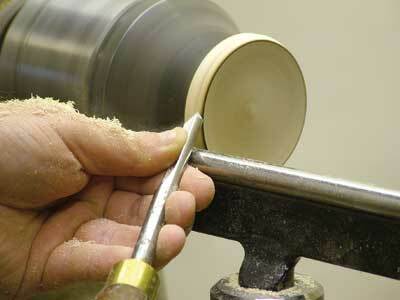 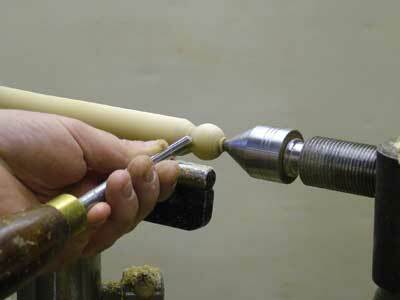 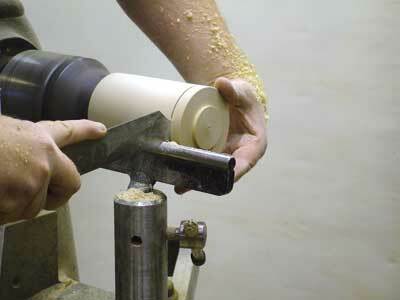 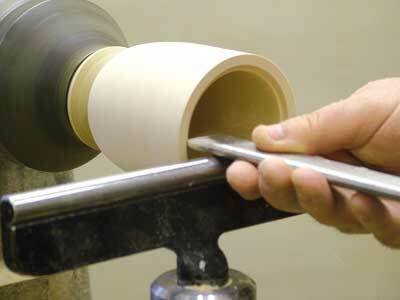 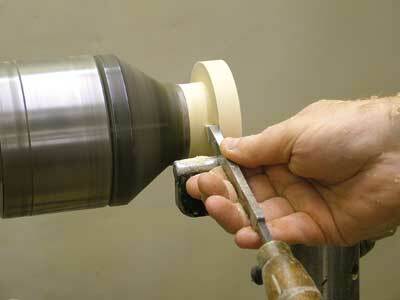 Taking gentle cuts, hollow out the bowl of the spoon with a small spindle gouge. 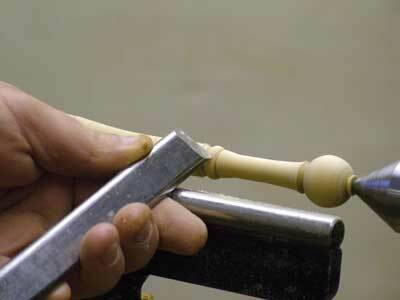 Remember the handle is flying round, but if you keep all parts of your hand behind the toolrest, you will avoid getting your knuckles or fingers rapped! 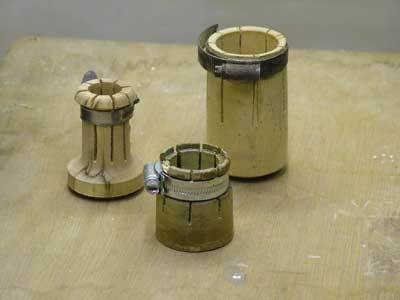 This is an interesting project that requires a fair degree of accuracy in order to ensure the separate parts fit together well and it also introduces turning on two centres using a very simple home made wooden chuck. 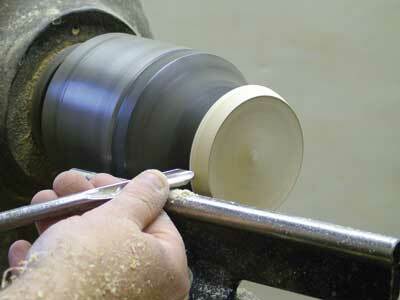 When I was asked to make this project I wondered why this item of culinary treen was given the name salt pig. 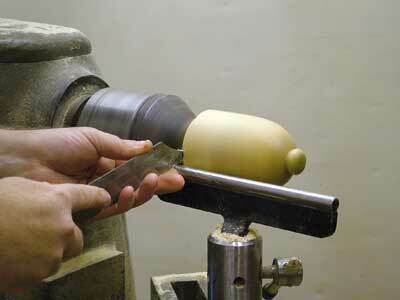 Some people say that the opening on the side resembles the snout of a pig and that is where the name came from. 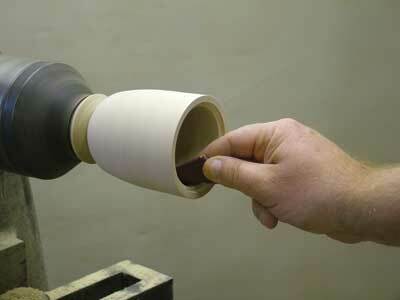 However an old Scottish definition of "pig" is a jar or pot made of earthenware. 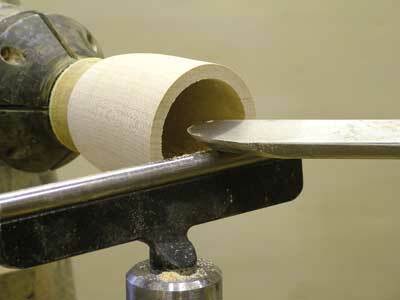 I used sycamore for this project, but almost any wood will do. 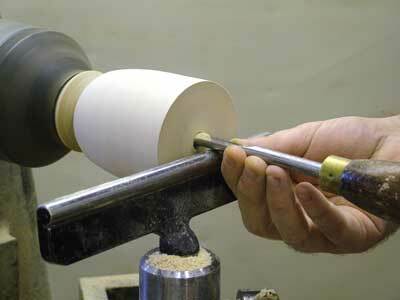 The ring on the side is quite delicate, so care must be taken when turning this piece and perhaps closer grained timber would be preferable. 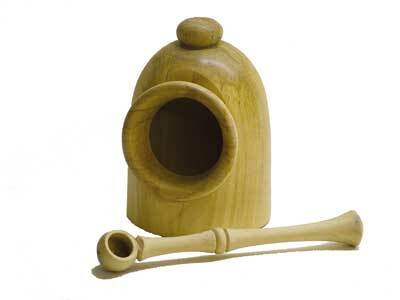 You could even use contrasting timber for this piece. 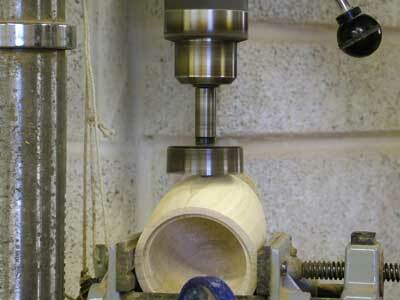 "You could even use contrasting timber for this piece"